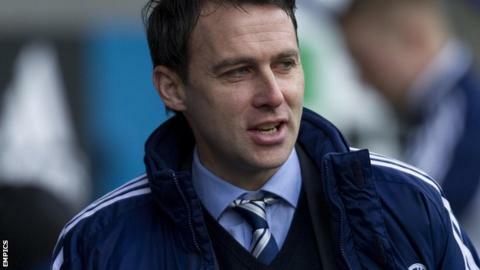 Bolton manager Dougie Freedman believes Crystal Palace have not changed too much under his successor Ian Holloway. Freedman returns to Selhurst Park on Saturday for the first time since with Palace still in promotion contention. "Looking at the videos, there's not been a lot of tinkering with the team," Freedman told BBC Radio Manchester. "I'm expecting exactly what I left behind - a very good, solid team that's hard to break down." Freedman, 38, spent 22 months as Crystal Palace boss, winning 32 of his 92 matches in charge. Bolton are currently 16th in the Championship, 10 points from a play-off place. The Scot has made one permanent signing during the January transfer window - - and is hopeful of adding more players to his squad before the end of the month. However, Freedman has warned that the additions he plans to make are with the future in mind, and may not necessarily improve the team this season. He continued: "Managers say it's difficult for them to sign players (in January) because there's not a lot of good players out there, which is true. "I think it's even harder for managers like myself who have got to sign a certain type of player. "The secret is out that I'm going to sign players that are maybe not better than the ones I've got, but have got the potential and desire to be better. "It's hard to go and sign potential - to uncover and discover that potential and then go and sign it. That's what I'm trying to do and I believe I'm very close to (signing) one or two players like that."